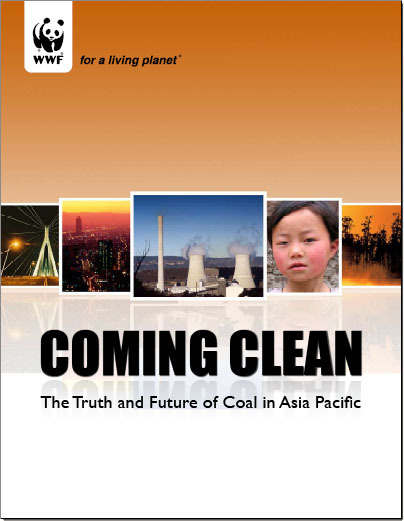 Coming Clean: The Truth and Future of Coal in the Asia-Pacific"
" Despite Asia-Pacific’s unrestrained use of coal ? and its contribution to greenhouse gas emissions ? a new WWF report finds there is a role for the fossil fuel in a carbon-constrained energy future. 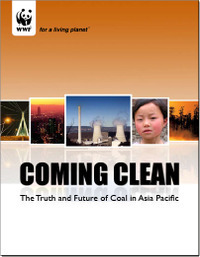 The report, Coming Clean: The Truth and Future of Coal in the Asia-Pacific, released on the eve of the Asia-Pacific Economic Cooperation (APEC) summit, acknowledges that coal will contribute an important part to the energy supply of the emerging economies in the region, in particular China and India. 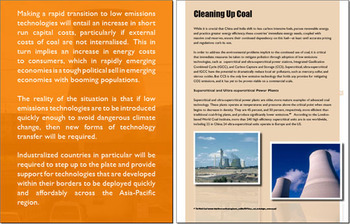 According to the report, coal has a role to play in meeting the region’s energy demands but that it must be reduced to no more than 20% of all energy produced; tempered with the introduction of cleaner coal technologies, specifically carbon capture and storage, and regulated by government policies designed to better protect local environments and communities. 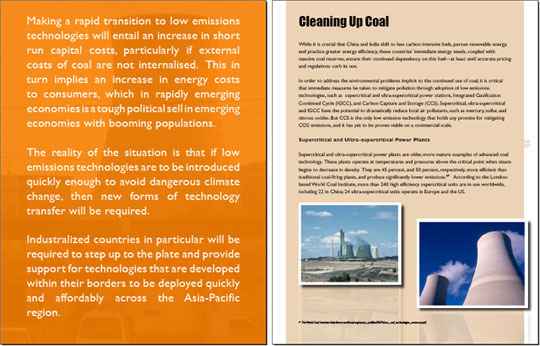 With 88% of the current global increase in coal use coming from the developing nations of Asia, the report says industrialized nations need to assist developing economies to implement low emissions technologies in order to prevent dangerous global climate change.